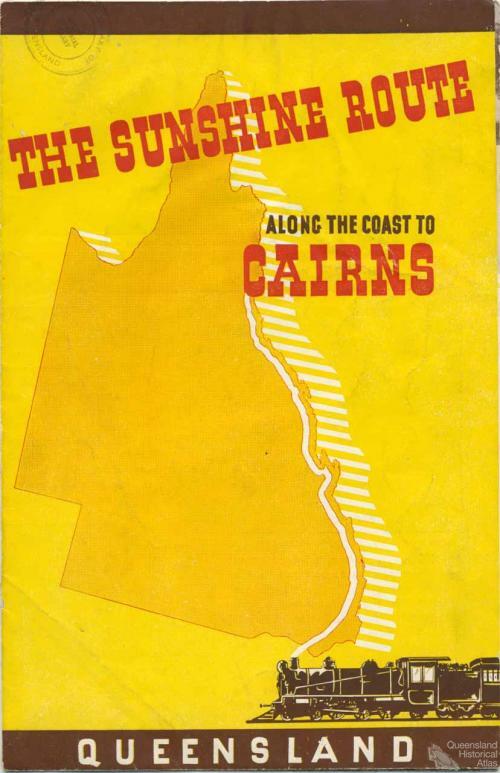 The Sunshine route along the coast to Cairns, 1936. 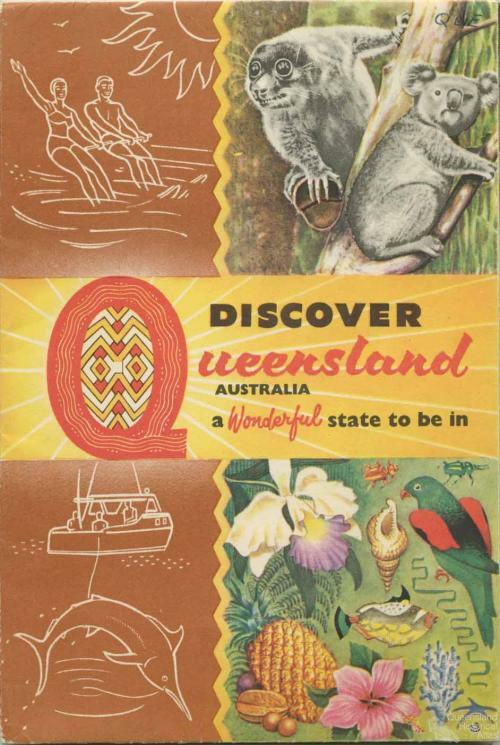 Sunshine and Queensland became synonymous when the railway to Cairns, called the North Coast Railway, opened in 1924. Queensland, twice the size of New South Wales and eight times the size of Victoria. That’s how the recently established Government Tourist Bureau promoted the state on postcards in 1912.